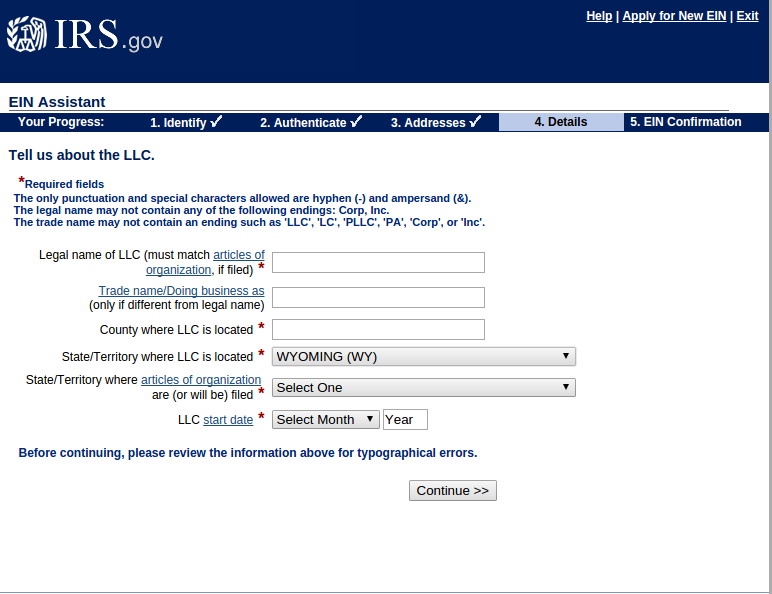 When you Google for information on obtaining a “Wyoming EIN” for your company, inevitably you find plenty of services offering to obtain a “Wyoming EIN” for your business. In truth, though, there’s no such thing as a Wyoming EIN. 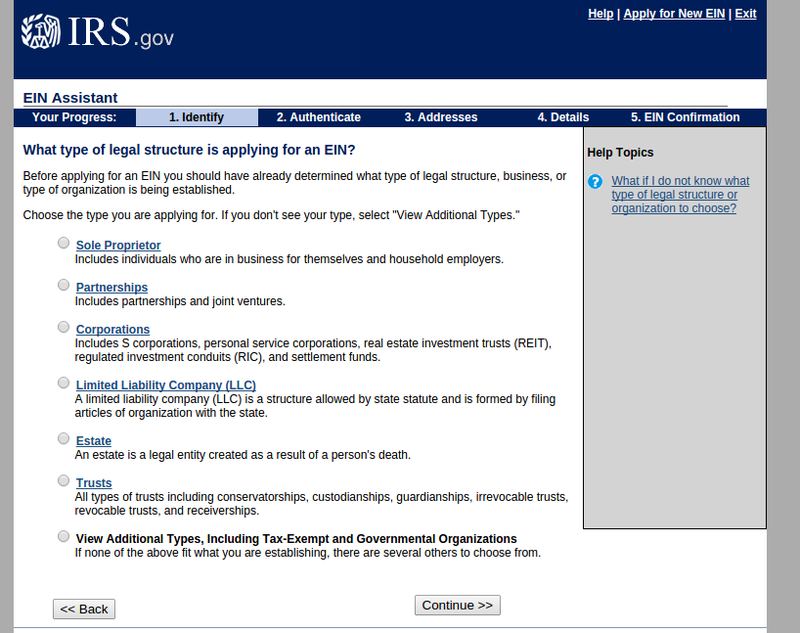 EINs (aka: FEIN, Employer ID Number, Federal Tax ID, and so on) come from the IRS, a federal government agency. 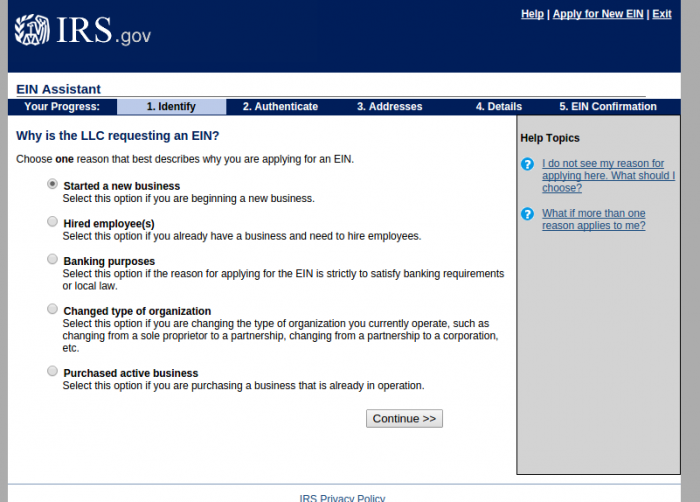 EINs are not state specific. But unlike many other tasks that involve the IRS, getting an EIN is fast, simple, and free. Below, you’ll the steps to getting an EIN for your Wyoming business for free. Beneath the Tools menu, you’ll see the option “Apply for an Employer ID Number.” Click it. 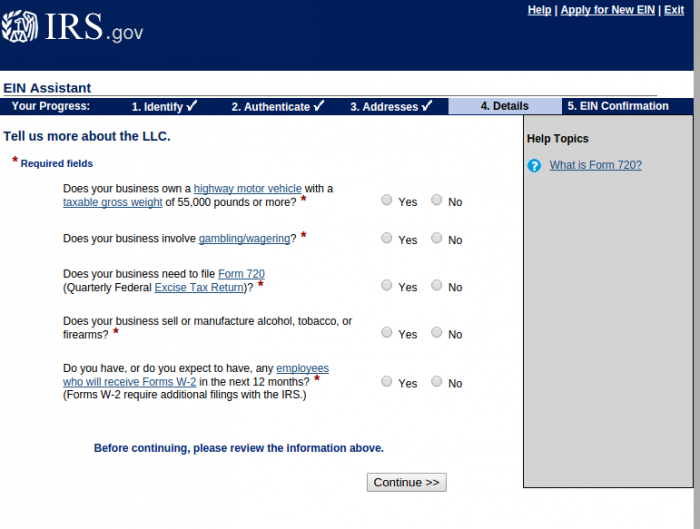 You’ll be asked about the number of officers or members depending upon which entity you’re applying for, and where the business is physically located. You’ll choose WY. You’ll have to choose from a variety of options as to why you’re applying for the EIN. Choose the best answer for your situation. 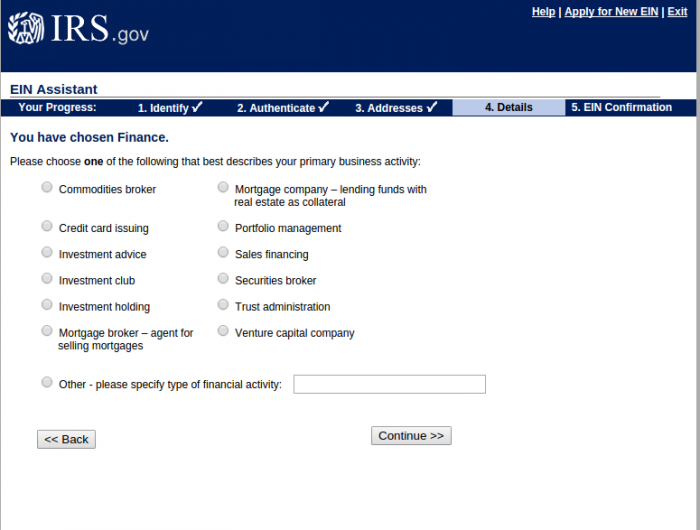 Most people just say starting a new business or banking purposes. 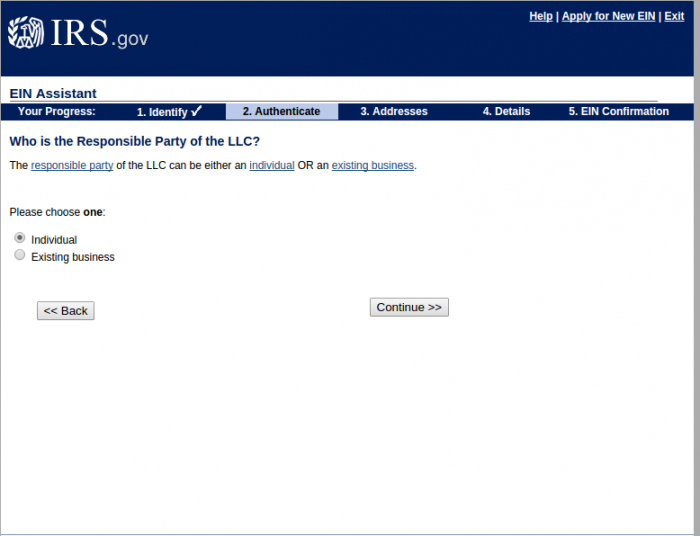 Name, SSN, and whether the individual is a third party or an shareholder/member. All of this information will remain private between you and the IRS. You can use our address if you’d like. 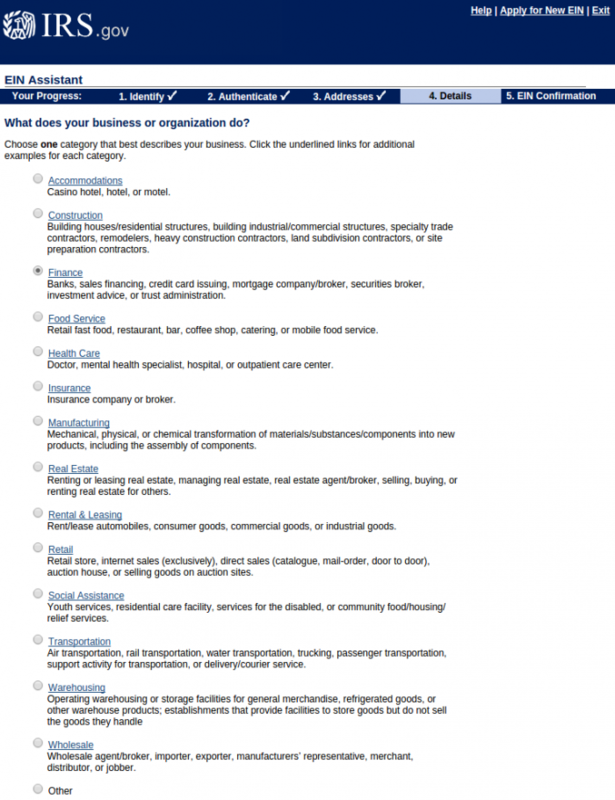 List basic information about the business entity, such as name; county and state where entity is located; and start date. 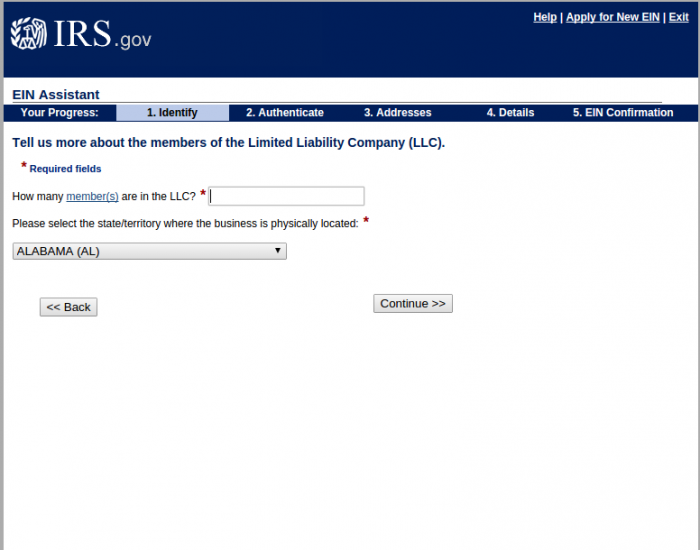 All this information will remain private with the IRS. It will populate your data also. You can use our address for getting a Wyoming based EIN number. This page is simply asking about the nature of the entity’s business. Click “Continue” when you’re finished. You can select other or services to be generic. 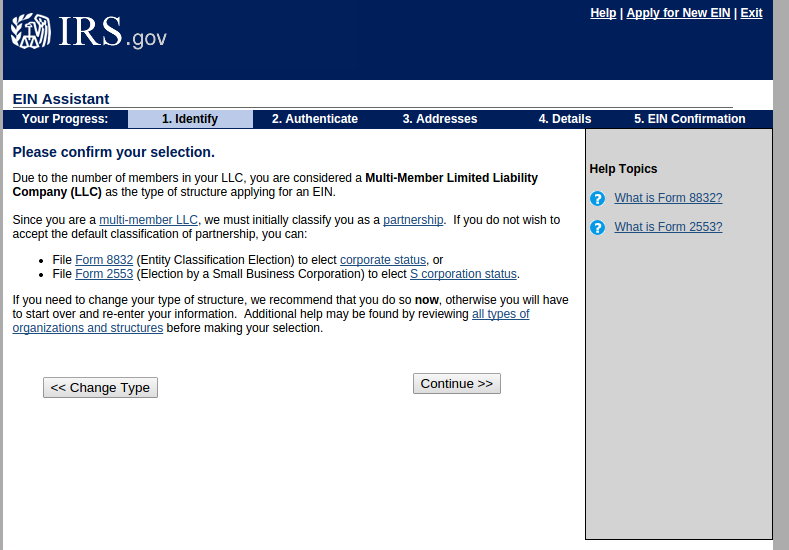 This is asking how you’d like to receive notification of your Wyoming entity’s EIN. Choose the online option, unless for some reason you want to wait four weeks. 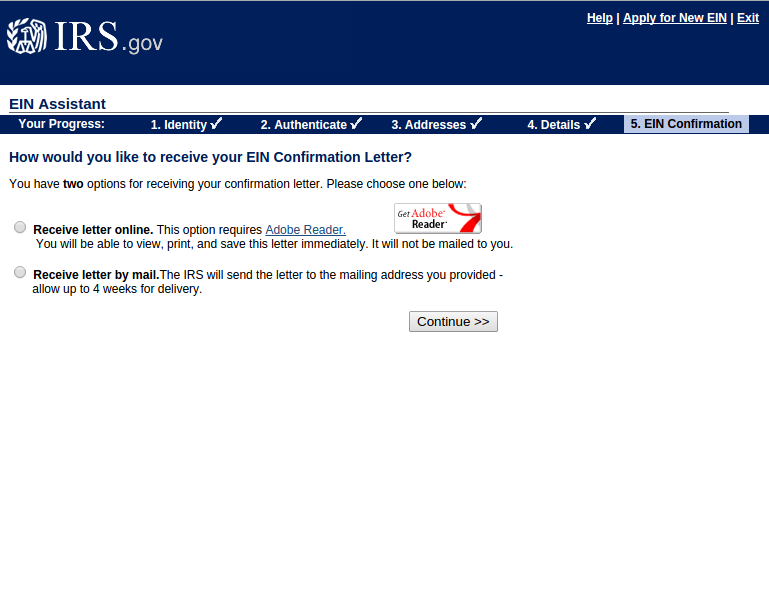 The last step is a confirmation of the entity’s information you’ve already entered. 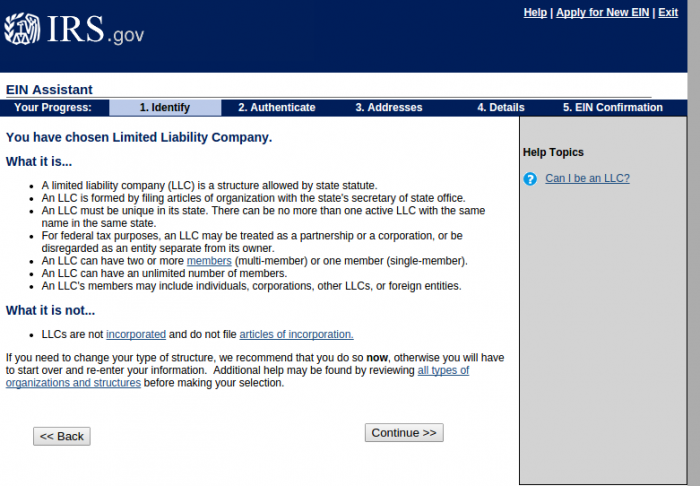 Confirm and you should receive your Wyoming company’s EIN instantly. That’s it! Congratulations. You’ve gotten your Wyoming based EIN for free. EIN numbers are assigned based on geographic areas. So it’s important that you have a Wyoming registered agent that will allow you to use the Wyoming Virtual Office or Wyoming mail forwarding address they provide you for your Wyoming LLC or Wyoming Corporation. The info you provide here does not seem to ever matter or accomplish much of anything with the IRS. You’ll want to get an EIN number, but the IRS appears to not really do much with it unless you proactively do something. 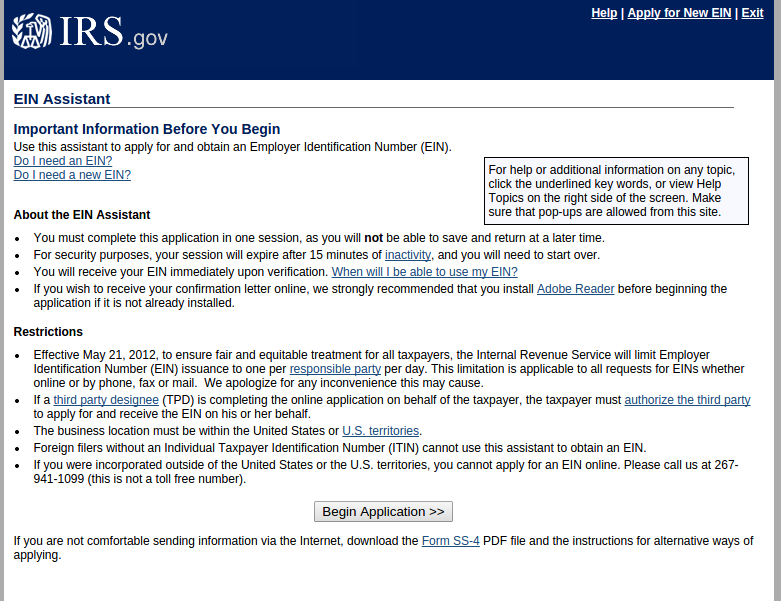 To apply online, foreign filers must already have an Individual Taxpayer Identification Number (ITIN). 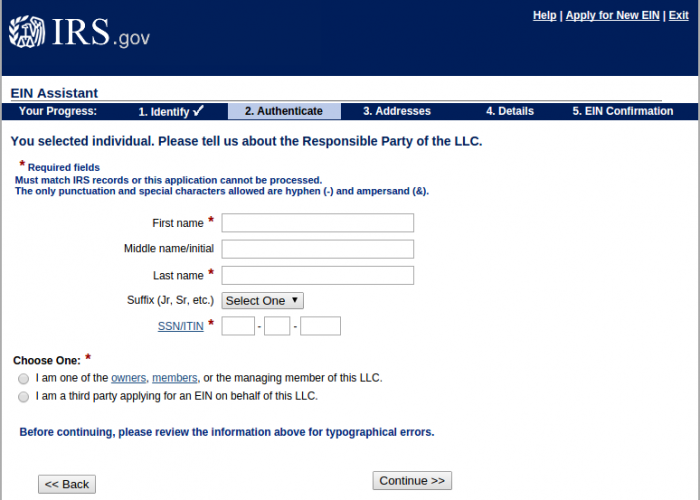 If you are a foreign filer without an ITIN (there is no real reason for foreign filers to obtain an ITIN number‚ the EIN is what you want), you can still obtain an EIN, but you’ll need to apply by using the Form SS-4 and mailing it in. 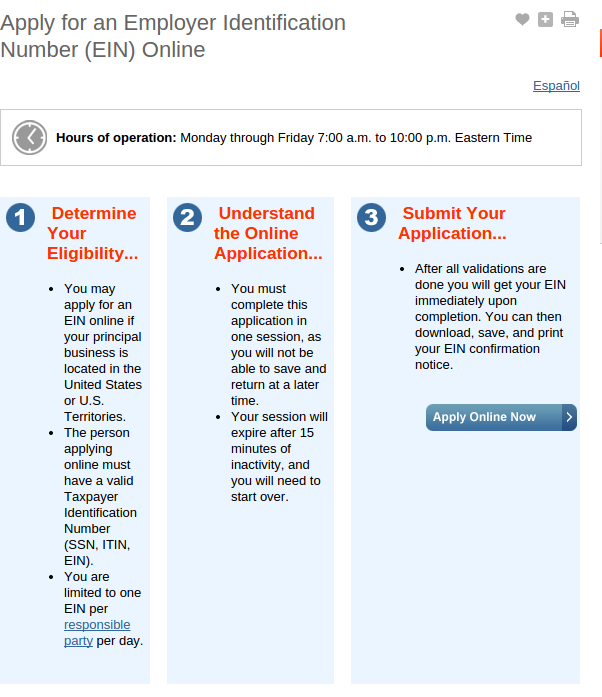 If foreign EIN filers, hire us for registered agent service, they can use our address on the EIN application as their mailing address and once we receive the EIN confirmation letter from the IRS (usually takes 4 to 8 weeks), we’ll scan the letter and upload it into their online account. Foreigners will pay corporate income tax rates on their profits in the US if they want to be legit and file taxes. Simply getting an EIN is the main thing a Wyoming company will want.